The Hospital Governing Committee (HGC) is the ultimate decision making authority of the hospital. Accountable to the HGC, the Hospital Chief Executive (HCE) assumes the overall managerial role of PWH and is supported by Co-ordinators (Clinical Services) and General Managers of administrative services, nursing, finance and human resources. 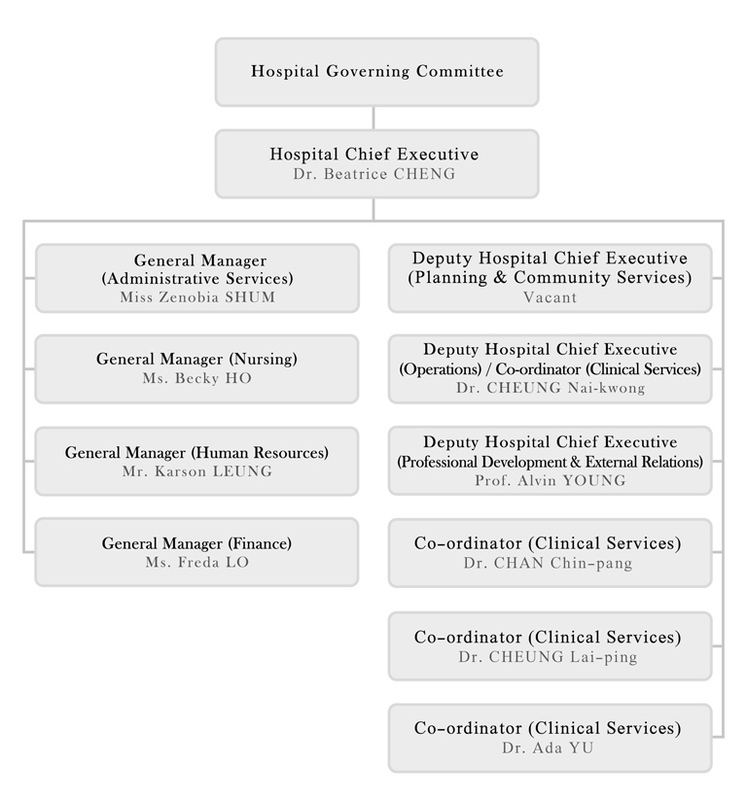 Various consultative committees and functional committees facilitate management of the hospital. Involvement of clinical staff in policy-making process, as well as day to day management is emphasized.